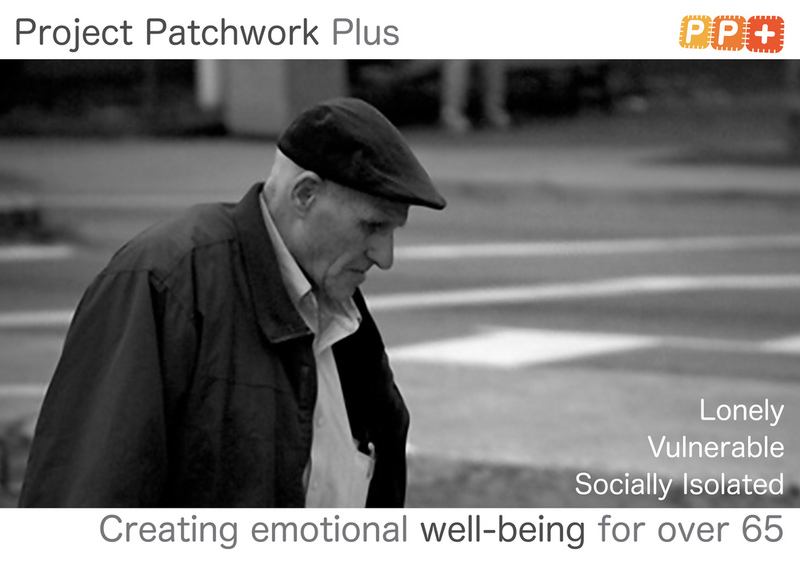 Project Patchwork Plus is a service concept that creates emotional well-being for elderly. Through our research, volunteering, interviewing elderly and social service providers, we tackle the problems that can dramatically improve elderly experience while they attend social activities, such as cheese club, floral design class etc. From a holistic approach, we integrate existing services and our messenger system in order to create a better physical and emotional experience. Falling birthrates, coupled with increased life expectancy due to general improvements in health, have resulted in an ageing population, and many more people can now expect to live beyond 85 years of age than ever before. Whilst this is to be celebrated it is nonetheless the case that as the population ages and more people live alone, social isolation amongst older people is emerging as one of the major issues facing society. Older people are also among the main users of health and other care services, so the potential future impact on these resources will grow making it an increasingly significant social and political issue as time goes on. In responding to this project, you need to unpack and understand the experiences of older people, the circumstances that affect their lives and the pathways to loneliness and isolation. Whilst these are often linked to socio-economic circumstances, it is also the case that older people often have weaker social networks, preventing them accessing many of the things most of us take for granted: friends and regular company, stimulating activity and easy access to services such as shops, post offices and GPs. You then need to reflect on the ways in which design can respond to some of the issues in ways that could improve the lives of those at risk. How can awareness be increased in society of the valuable role and potential contribution older people can offer: if they are engaged, active and have a sense of purpose, they can make a big contribution to our communities but will remain an untapped resource unless used. Design a new service, network or other solution that would benefit older people experiencing, or vulnerable to, loneliness and isolation and that would help to improve their emotional and general well-being. How might you engage older people in the process of co-designing a response that would be meaningful to them? How can this process lead to more appropriately designed outcomes? The format of the designed solution is flexible: it could be a service, a network, an environment, a piece of communication, an event, a new role, or it might take elements from several of these. The aim is to design a coherent solution that addresses the needs of the person/people you are designing for, lead to their greater integration into the community and improve their general wellbeing. Make sure you communicate the story of your project in a clear and engaging way that would make those with the power to make it happen take note. Collaborated with Ayda Anlagan & Vincenzo Di Maria.